Organic. Light and smooth green tea from the peaks of Southern China. 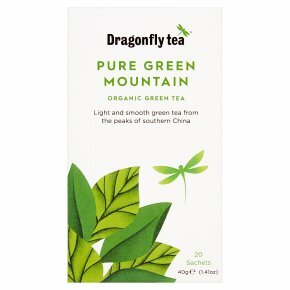 Our carefully chosen, easy-to-drink green tea is smooth, light and nuanced, without any bitterness. It is grown at high altitude in the lush green mountains of Southern China, a region celebrated for its ancient tea culture and unique tea making traditions. Brewing Instructions For a perfect cup allow fresh, boiled water to cool a little. Infuse for 1-3 mins according to taste.